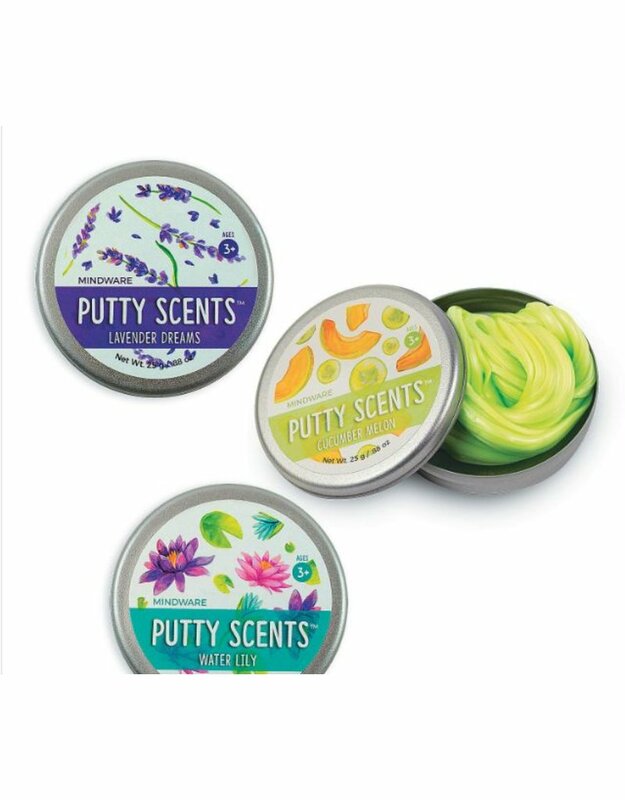 Introducing Putty Scents, an exciting new line of putty that contains unique colors and scents. 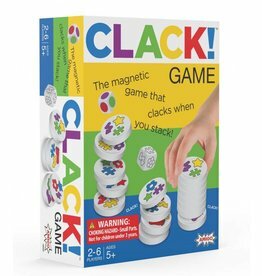 Soft and pliable, our beautifully-designed tins include nearly two times the amount of putty when compared to similar mini tins! 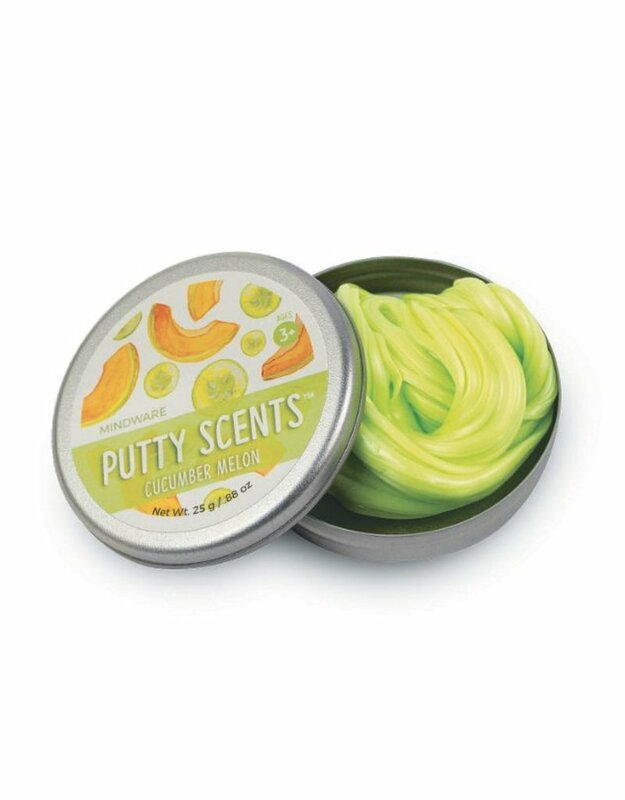 A favorite of both kids and adults alike, putty is the popular sensory tool that’s great for kneading, molding, stretching—and now—with amazing aromas, too! Collect them all! Putty Scents Spa Set of 3 includes: Water Lily, Lavender Dreams and Cucumber Melon. Gluten free and made from non-toxic ingredients (silicone oil, silicon dioxide, boric acid, pigment & fragrances).